Headed to RootsTech 2018? Let’s Get Organized! RootsTech 2018 is 19 days away! Are you ready? This will be my 4th time attending and over the years I’ve learned a few things about organizing myself for each day’s classes and for research time in the Family History Library. First thing to do is to download the RootsTech mobile app. It’s available from the App Store and the Google Play Store. Using the app you are able to create your personalized schedule for each day. As you read through each of the class descriptions you can ‘star’ them, which moves them to your daily schedule (My Schedule on the app). I always pick my top choice class and a back up class for each hour. I also note when lunch is and when the Expo Hall will be open. Once you have finished selecting classes for each day, tap the gear icon on the upper right-hand side of the screen and slide down to a reddish box which says ‘Email My Show Summary’. You can email your class schedule to yourself or share it with a friend attending with you. What about syllabus material for each class? Handouts are only available on the app but can be downloaded or emailed to yourself. To do this, tap on My Schedule (which you have already created) and tap on your first selected class. Move down the page that shows information on that class until you come to the very bottom where it says ‘Resources’. Under that is ‘Handouts’. Tap on ‘Handouts’ and if the class has one, it will ask you if you would like to Take Notes on the Handout, Download Handout or Email Handout. I prefer to email the handout to myself. You will receive an email with a PDF of that classes’ handout. I print that out and write the location and time of the class in the upper right-hand corner. I then place them in day and time order in my binder. This way I don’t have to keep referring to my phone to see what’s next on my schedule. I can look at my binder and it’s all organized there. I use the back of the handouts to make any notes during that class. Everyone has a different system to keep themselves organized. I’ve used this one all the years I’ve attended RootsTech and it’s worked well. My binder also has a place for pens and pencils, flash drives, business cards and more paper. I like having it all in one place. Going to RootsTech means making time for research at the Family History Library. Over the years I’ve worked out a system that keeps me on track and organized. My biggest tip for researching here is to plan ahead! There are lots of BSO’s (those distracting Bright Shiny Objects) hiding in the library and it’s easy to get sidetracked. It’s not always a bad thing to be lured in by a BSO, actually it can be kind of fun! But when you’re fitting in time between RootsTech classes or at the end of a busy and mentally exhausting day, you want to try to stay on track. As I research I use the Research Log report on my desktop family history software to keep track of the films or books that I need to look at when I am next at the Family History Library and which are not available online. Use FamilySearch.org to find the correct film or book and check whether it has been digitized or not. If not, I add that information to a spreadsheet I have set up with columns as shown below. I try to be very clear about the information I am looking for. I create these Research Logs as I work on projects and it can sometimes be months since I marked that I needed to look at a specific film for information. I don’t want to spend time having to pull up my family history software program and look at why I wanted that information. Each item is numbered in the far-left hand column. That number is what I use in my handwritten notes as a reference for any information I find or do not find. Of course, I also add the film or book number again on the notes I am making in the library, as well as any notes on whether I photocopied, downloaded or transcribed the image. I never transfer any information to my family history software until I am back home and able to carefully evaluate it first. Some may prefer to use a preprinted Research Log template to write down what you find in the Library but those never seem to have enough space for me to write in. RootsTech is always a whirlwind of great education and fun socializing. Get the most out of your RootsTech trip by getting and staying organized! What tips do you have on staying organized at RootsTech? RootsTech 2017 is 3 weeks away. Time to get organized! Classes: Decide which classes you want to attend. This is probably the hardest as there are going to be multiple classes that you would love to attend all happening at the same time. Decide on your top 3 choices. Then, if your number one class is full you are ready with your next choice. Use the RootsTech App to keep track of your personalized daily schedule. Family History Library: Build in time in your schedule for the Family History Library. I am heading up a day early to take advantage of the proximity of the Library to the Salt Palace Convention Center where RootsTech 2017 is taking place. Make sure you know what you want to look at in the Library and make good use of your research time. The Family History Library is a black hole when it comes to how fast time flies whilst there! Network: RootsTech is a great place for networking with friends and colleagues. It’s a great place to make new contacts too. Make the effort to meet in person those genie friends you know online. It doesn’t hurt to have a business card to hand out! Electronics: almost every RootsTech attendee will have their laptop or tablet with them. Some attendees take notes on them or quickly look up a new website being mentioned by a presenter. 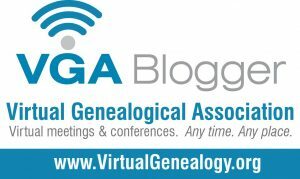 You’ll want your updated genealogy software program on there, especially if you plan to do research at the Family History Library. Don’t forget those chargers. Comfy shoes! No need to explain further. The Salt Palace Convention Center is huge, you’ll be walking a lot. I like to print out the syllabus for each session and use that to make notes on. I also write where that session will be taking place on the top of the handout. I then file them in the order the classes will be happening each day. As of the time of writing, the syllabi for each session is not on the RootsTech website yet but they do seem to be available via the RootsTech app. I was able to click on the session I am interested in and page to the bottom where a link appears for the syllabus (if the presenter has one). By tapping on it you can select to either Take Notes on the Handout, Download Handout or Email Handout. Learn more about RootsTech 2017 here. See you in Salt Lake!